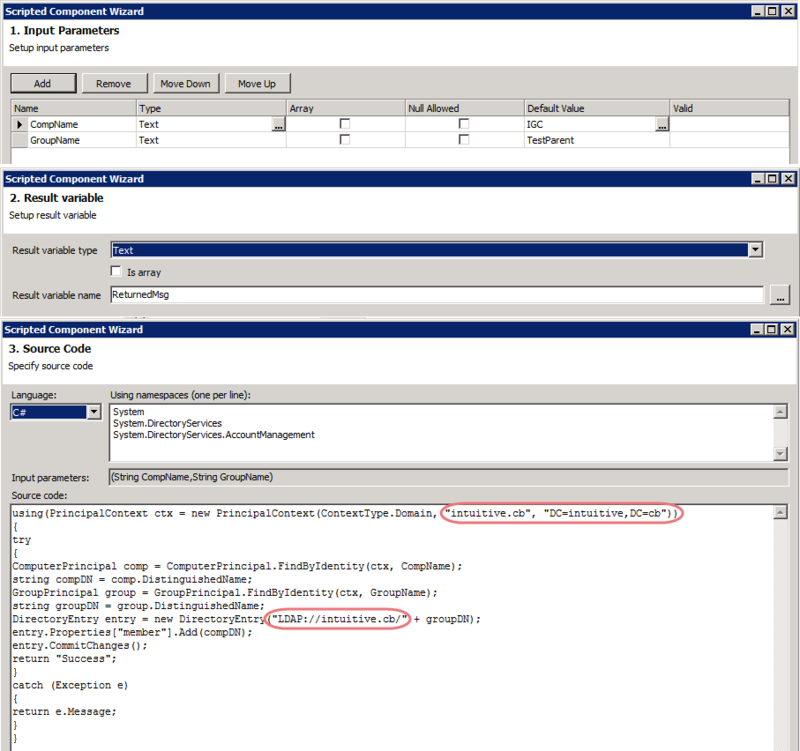 Symantec Connect user Turl posted a forum question asking how to add a computer to an Active Directory group in a Workflow project, because in the Active Directory component library, there’s no boxed component to do this. I am trying to add a computer to an AD-Group in my Worklfow. 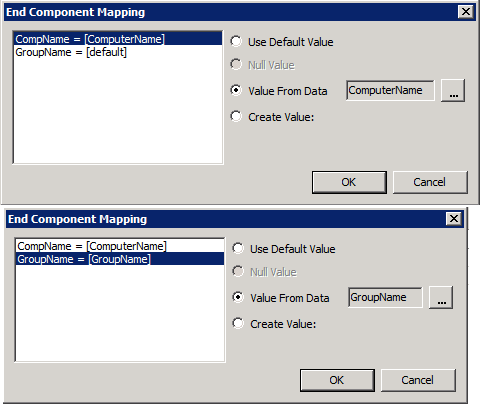 I know that there is a component to add user to a Group. But there is no component for computers. Does anyone have an idea how this could be solved? After a bit of effort (and learning, as I am not presently a respectable coder), I was able to create a custom C# Code (Script) Component that accomplishes this task. 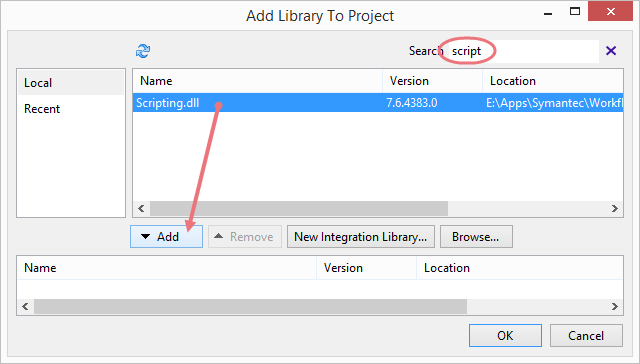 Start with loading in the Scripting.dll library. Next, grab a Code (Script) Component and place it on the designer canvas. Give it a friendly name if you’d like. 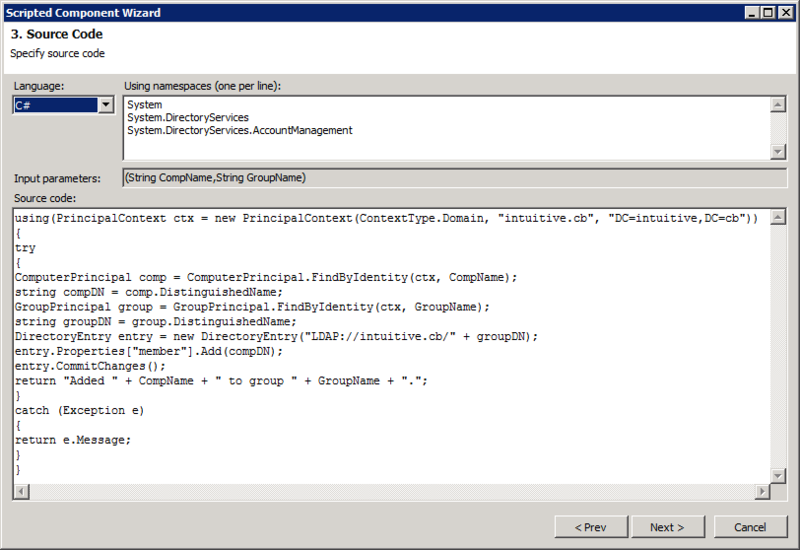 Now, let’s go through the component wizard and go over how to configure it to add a computer to a group. Here’s a quick look at the steps if you’re already familiar with this component. Keep reading to see how to configure each step with more detail. So for step 1, we’re defining input parameters, or variables internal to the code component, and how they’re mapped to variables in the workflow process. This is how we take values from (for example) form elements and pass/map them into our code component. Click “Edit Parameter Mappings” to map Workflow process variables to the internal code variables you’ve added here. So let’s assume we are using a form for input. For step 2, we’re defining the output variable(s) of the Code component. While this action doesn’t necessarily require an output, let’s add one so we can capture any exceptions and see anything that goes wrong. We can also output a friendly success message in the event the move goes as planned. And here’s my take on what the code is doing. 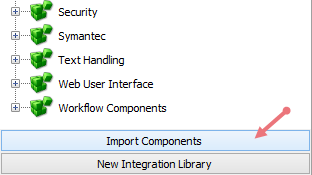 First off, ensure C# is selected in the Language dropdown. 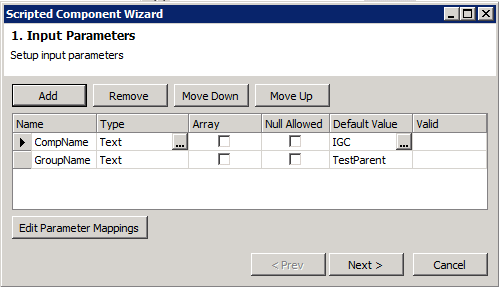 Step 4 provides a testing platform for the code, and fields for the test input values. Keep in mind that this is not a self-contained test; any data processed here will actually commit if successful. 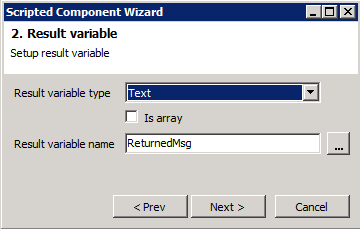 If you’ve configured your component properly, you should see no errors either in the test result or the component itself. A demo package is available for Workflow versions 7.5 + on the demo page. Thanks for the nice article and the whole blog. It is really useful. Just one point regarding this – it seems to me like regular AD component “Add User To Group” works fine also with computer object. Your code (with some) would be definitely useful when it is needed to add computers from different domains to Universal or Domain local groups. Thanks for the note, Vlastik! Good to know that some of the existing components can be used for tasks other than what they’re advertised.